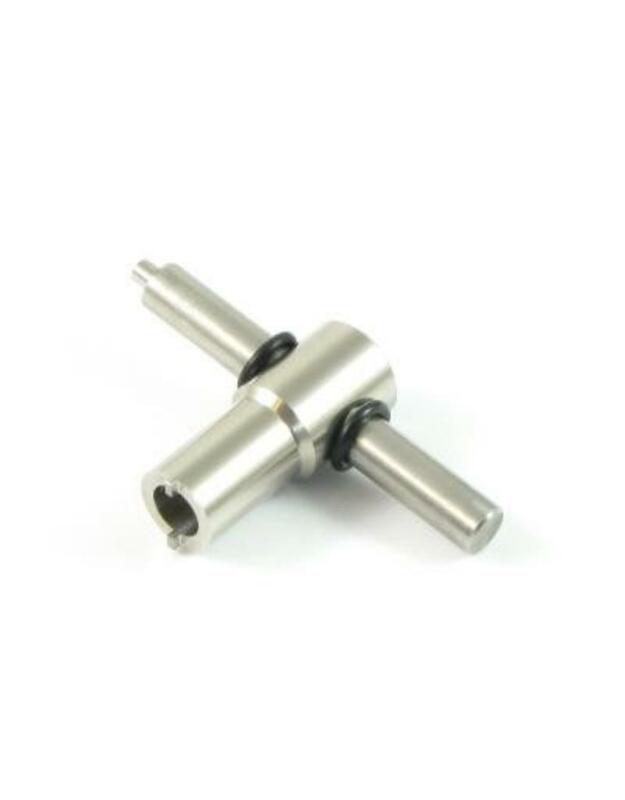 This valve key has been designed for easy removal and installation of standard 10mm size release valves found in most gas pistol magazines as well as some gas SMG and rifle magazines. The fully CNC machined face and short design reduce the risk of slipping which is the key cause of wear and damage to release valves. Suitable for most brands of gas pistol and SMG magazines including Tokyo Marui, KSC, KWA, WE, KJ Works, Maruzen, VFC, Tanio Koba, KWC and many more. Each valve key is fully machined from a solid bar of Grade 303 Stainless Steel with the back ground smooth for more comfortable use. This valve key is not suitable for use with Tokyo Marui M4 or Western Arms gas magazines. Ik vind de o ringen geen functie hebben schieten er gouw van af. Voor de volgende keer een frees randje inmaken ,zodat de o ring blijft steken.